Kimberly is a consummate executive coach with over 20 years of experience in Organizational Development, Leadership & Employee Training, Instructional Design, and Project Management. Throughout her career she has demonstrated the ability to design and drive strategies and culture change required to achieve business objectives. Kimberly facilitates business growth by leveraging her diverse business experiences which includes business analysis, strategic planning and executive coaching. Combining these talents has helped organizations realize their investment in three areas: people, processes and systems. Her learning approach encompasses a total integration of all three and as a result brings about effective organizational change. JKimberly has spent her career challenging leaders to move beyond their limits and envision limitless possibilities. She has provided executive coaching and organizational development in business start-ups, and existing organizations in numerous industries such as Education, Government (state/ local), Human Resources, Insurance, Medical, Publishing, Retail, Telecommunication, and Transportation. 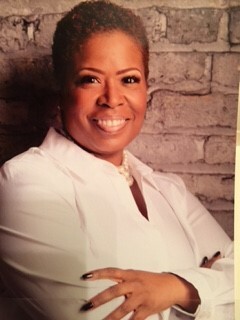 She has worked with numerous clients including Allstate, Ameritech, Apostolic Church of God, Blue Cross Blue Shield, Chicago Building Department, Chicago Transit Authority, City of Chicago, Citywide Colleges of Chicago, Covad, DeVry University, Grainger, Hewitt, Kaplan University, Roosevelt University, Ross Stores, Ross University, State of Illinois, TriServ Inc, University of Illinois Hospital, Unext, United Airlines, University of Illinois, and Urban Ministries Inc.
Kimberly’s Leadership Development and consulting practices have been recognized as best-in-class by organizations such as the Multi Media Telecommunication Association (MMTA), the International Productivity & Quality Council (IPQC) and Health Care Services Corporation (HCSC) Performance Excellence in Leadership Coaching. Kimberly holds a B.S. in Education from the University of Illinois at Champaign-Urbana and a Masters of Education from the University of Illinois at Chicago in Organizational Development. Kimberly and her family live in Chicago where she enjoys outdoor concerts in Grant Park and summertime grilling. Kimberly also enjoys interior decorating and is an active member of the Keep a Child Alive program.